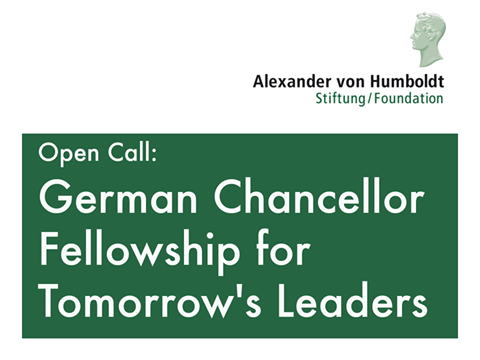 German Chancellor Fellowship offers the fellows an yearlong stay in Germany along with other scholars to find solutions to the global problems of the present times. The fellowship is awarded to those who possess International Outlook and initial leadership experience. Candidates need to make online applications for the fellowship and also need to provide a statement of motivation & project plan for completing the application process. The selection of the candidates will be done based on a candidate’s qualification and potential. Nationality: The applicant must be a citizen of India, USA, China, Russia or Brazil. Academic Qualification: The applicant must have a Bachelor’s Degree in the allied field earned not more than 12 years prior from the beginning of the fellowship. Language Requirements: The applicant must possess German or English Language skills. Applicants who have been to Germany for more than 6 months prior to the application deadline. Those applicants who have already been sponsored by Humboldt Foundation. Fellowship Grant: The amount of fellowship grant is 2,150/2,450/2,750 EUR per month, depending on the qualification of the applicant. Research Allowance: 500 EUR per month will be given as Research Cost to the hosts in Germany. Travel Allowance: Lump Sum cost of travel to and fro from Germany will be paid if the same is not borne by a third party. Europe Allowance: If required, the expenses of one or two month’s stay at an institute in Europe will be paid only if this kind of stay is necessary for the conduct of the project in question. Allowance for Family Members: Family member allowance will be paid for the family member accompanying the Fellow for a minimum 3 months. Insurance: The fellowship offers a contribution to health and liability insurance as well as mobility allowance. Language Course: The fellowship includes an obligatory German Language Course of 2 months. Study Tour: A 2 weeks Study Tour of Germany during spring. The Candidates willing to make an application for the Fellowship need to make online applications on the Official website of Humboldt Foundation. Initially, they will need to register on the website to complete the application process. Initial Registration: Applicants need to provide their name, email id, nationality and password to complete the initial registration. Required Documents: To complete the applications, candidates need to provide the following documents. Curriculum Vitae (CV): Curriculum vitae is a mandatory document required to complete the application and it needs to be uploaded while making the online application. Language Certificate: A language proficiency certificate in either English or German will be required. Academic Certificates: Academic certificates along with a certified translation of the first academic degree. Transcript: A transcript of grades obtained in the degree need to be provided. Letter of Recommendation: The Applicant must submit 2 letter of recommendation along with the application. Host’s Statement: The Host’s statement including confirmation of support must be sent to the Foundation directly from the Proposed Host. Statement of Motivation: Candidates need to write a description of the question in not more than 4,000 words - Mention what particular qualifications as a leader recommend you for the fellowship. Project Plan: Candidates needs to provide the details of their project plan in not more than 7,500 words. Curriculum Vitae is a mandatory document that needs to be uploaded with the application form. Online Submission: If the candidate uploads all the required documents online then he/she need not send any hard copy of the application form or documents. Submission by Fax/E-mail/post: If documents are not uploaded online then the candidate can send the documents to the foundation by email, post or fax (details given below) to complete the application process. First Step: In the first step the most promising candidates will be selected from the applications received and will be invited for a selection meeting at Bonn. Leadership Potential and the previous career. The relevance of the project for the dialogue of modern society. Existing knowledge to help complete the project successfully. Potential to build bridges between home country and Germany. The significance of fellowship for further career development. International outlook and future role as international leaders.